In their RFQ, New Braunfels states that they want to find either a private or public sector partner that will offer a revenue sharing arrangement. They expect a minimum of 1 gigabit connectivity now with an expansion to at least 10 gigabit capability in the future. New Braunfels also prefers a partner willing to grow the network over time and have unequivocally stated in the RFQ that fixed wireless on its own will not be suitable to meet their needs and goals. They will, however, consider a fixed wireless complement. As part of what’s been dubbed the “Texas Triangle,” New Braunfels is located in central Texas between Austin and San Antonio. The city began as a German settlement in the mid-19th century and now boasts a unique German and Latino character. There are also cold springs that run through the community that have been developed into a summer tourist draw. The area has grown steadily in recent years, increasing in population at a rate of about 4 - 5 percent annually. In 2015, city leaders estimated more than 70,000 people lived in New Braunfels. Some of the community’s larger employees include the local county and city school districts, a Walmart Distribution Center, and Schlitterbahn, which is an entertainment company known for its waterparks, resorts, and golf courses. 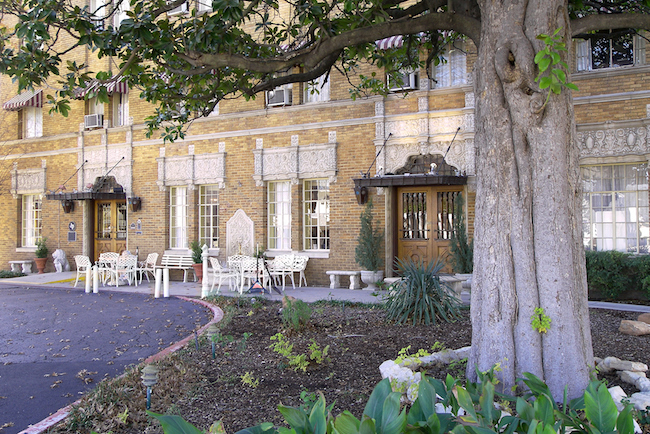 Image of the Hotel Faust in New Braunfels by Larry D. Moore [CC BY-SA 3.0 or GFDL], via Wikimedia Commons.